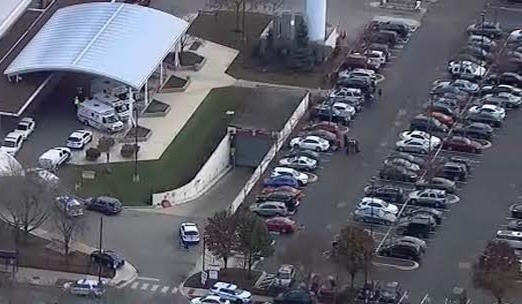 A gunman opened fired on Monday at a Chicago hospital, killing a police officer and two hospital employees in an attack that began with a domestic dispute and exploded into a firefight with law enforcement inside the medical center. The suspect is dead. The incident occurred at Mercy Hospital on the city’s South Side. An argument in the hospital parking lot involving the gunman and a woman with whom he was in a domestic relationship. When a friend of the woman tried to intervene, the gunman lifted up his shirt and displayed a handgun. The woman’s friend ran into the hospital to call for help, and the gunfire began seconds later, with the attacker killing the woman he was arguing with. When officers arrived, the suspect fired at their squad car and then ran inside the hospital. Inside the hospital, the gunman exchanged fire with officers and he shot a woman who came off the elevator, before he was killed. The identities of the victims, and the gunman, were not released.